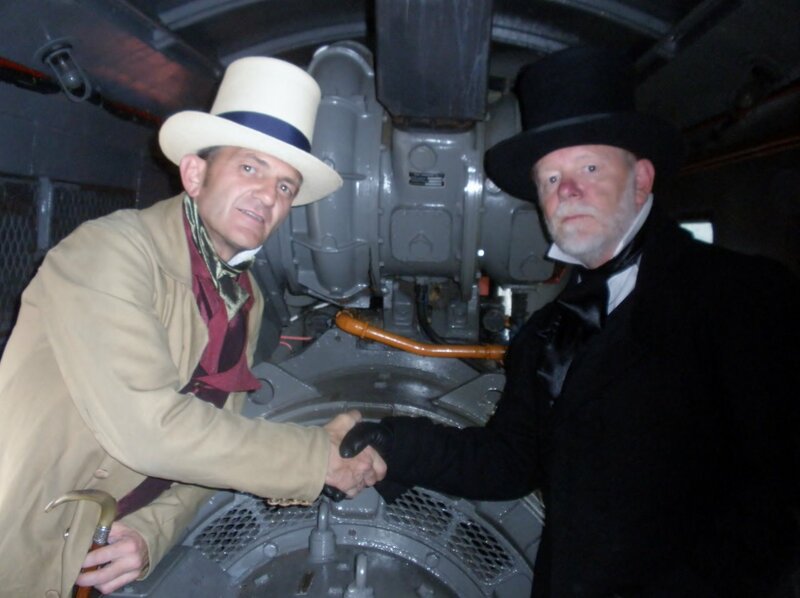 A big ‘Thank You’ to all our visitors that have come up to the front end and taken a keen interest in our motive power. I must also thank everyone who has taken advantage of our £5.00 donation to the Diesel fuel fund for a cab ride. It’s been great meeting you all, and we have been happy to answer your many questions; with your help, we have been able to operate our main line Diesel Locos on additional weekends. A couple of weeks ago, a team from the BBC was at the Railway to film the opening sequences for the new series of ‘Strictly Come Dancing’. They also used one of our local roads for other dancing movements. Many of the stars of the show were present, and performed a big dance number that opened the first programme. The Anglia buffet broke its own record, supplying in excess of one hundred bacon rolls in less than one hour. 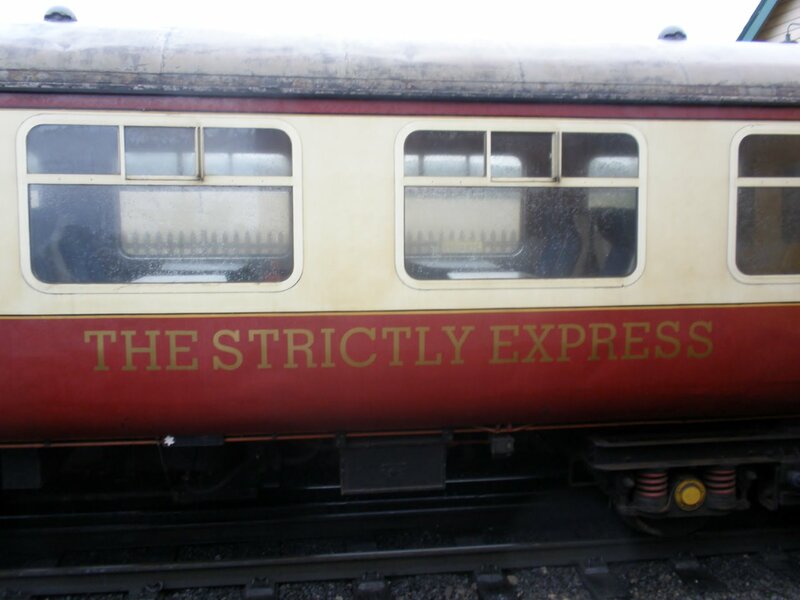 Look out for the ‘Strictly Express’ coach. Whoever would have thought that when we first re-opened, our railway would suddenly feature in the most-watched TV programme of the week? All aboard the ‘Strictly Express’! 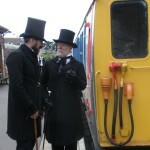 Recently, the Railway held a Victorian-themed weekend. 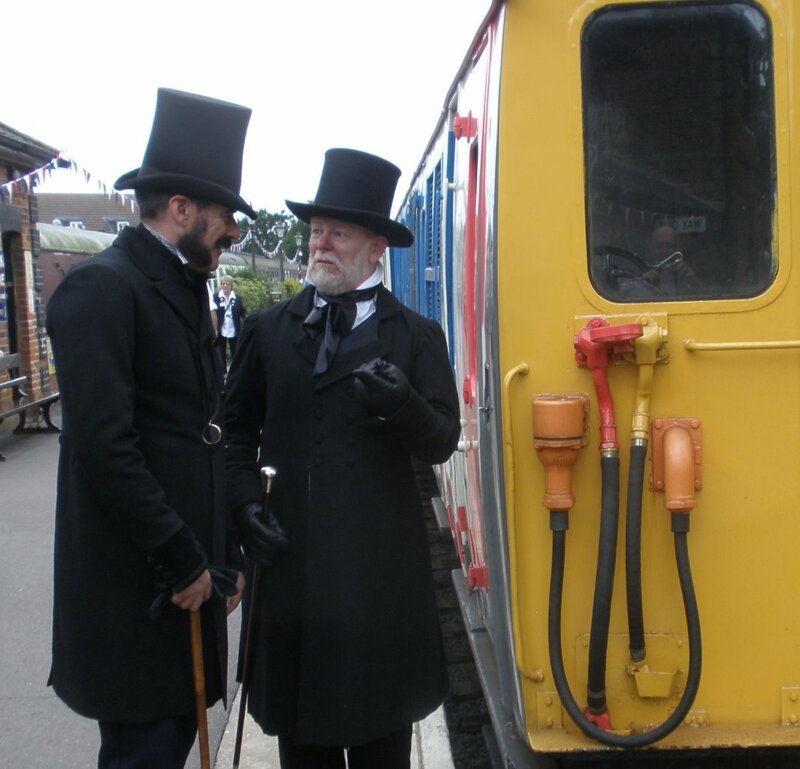 Upon the Thumper’s arrival at Ongar, two business owner-type Victorians boarded and started haggling over the price of the train. One examining the unit in detail and beating down others to the price he was prepared to pay. 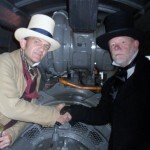 Finally, a deal was done, with shaking hands over the main generator! 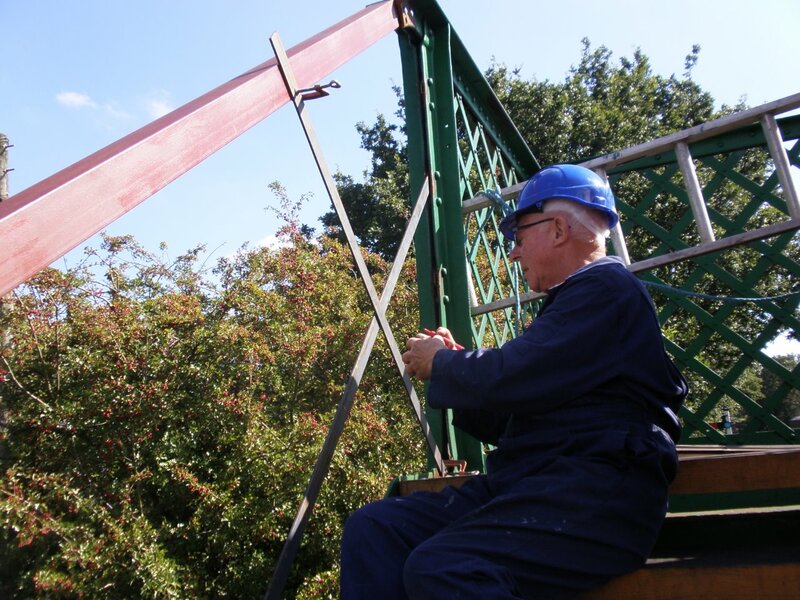 The Bridge gang have been making excellent progress rebuilding our former Great Eastern Railway footbridge. They have completed the lattice work on the first staircase and the first landing. They have since made a start on the second staircase. Progress has been anything but straightforward; lots of thinking through problems and head scratching. One of the problems I mentioned in the last blog that has not gone away is that the new parts are precision cut to exact measurements, whereas the old bridge is just the opposite; you don’t even have to measure some of the gaps between parts in the old bridge, just by looking you can clearly see they can differ vastly. This can cause issues when pairing old and new parts. Clearly much of the original manufacturing work was completed on site, when the bridge was first erected by blacksmiths on a ‘that’s near enough basis’. 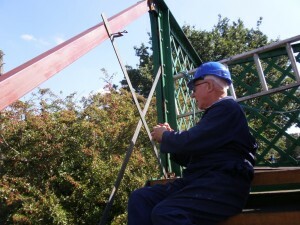 Our ‘Bridge Engineer’ – Doug – hard at work. I pleased to report that after extensive diesel engine overhaul, the privately owned class 33 has returned. She has been working on the odd weekend. 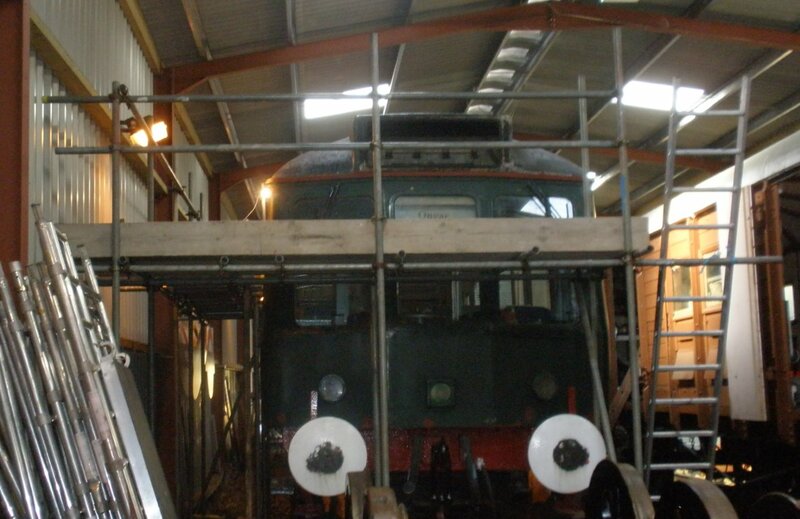 See the News or loco roster pages for updates on as and when she will be in service. D6729 has taken over the class 31 role our general use loco, working passenger and engineering trains without problems ever since work was completed on her brake cylinder. At the Diesel Gala, she worked throughout without fault and she looked quite stunning with the sun shining on her refurbished paint work. Children (young & old) love exploring the cabs. 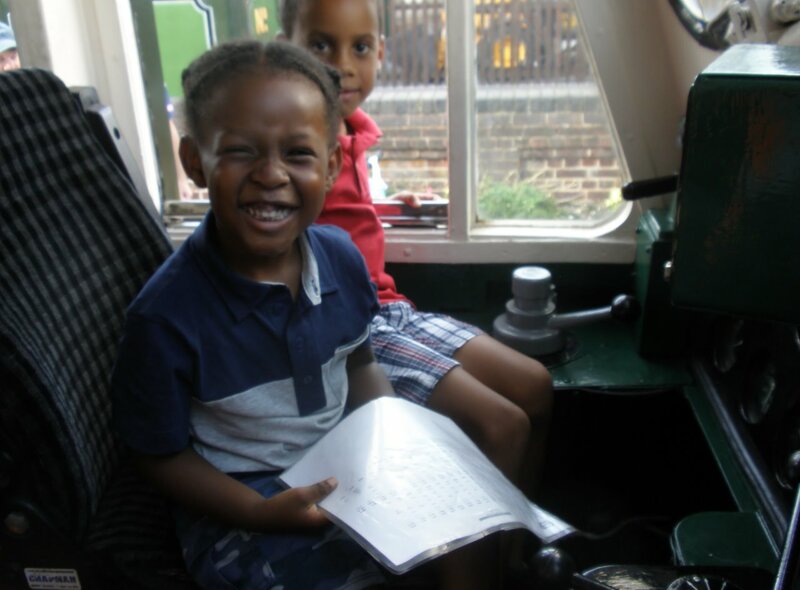 Here, two potential future drivers inspect the timetable ahead of departure. 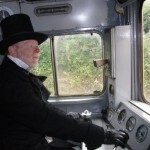 During the Diesel Gala, I had the privilege to drive both the class 14 and the Great Western 08 shunt loco. 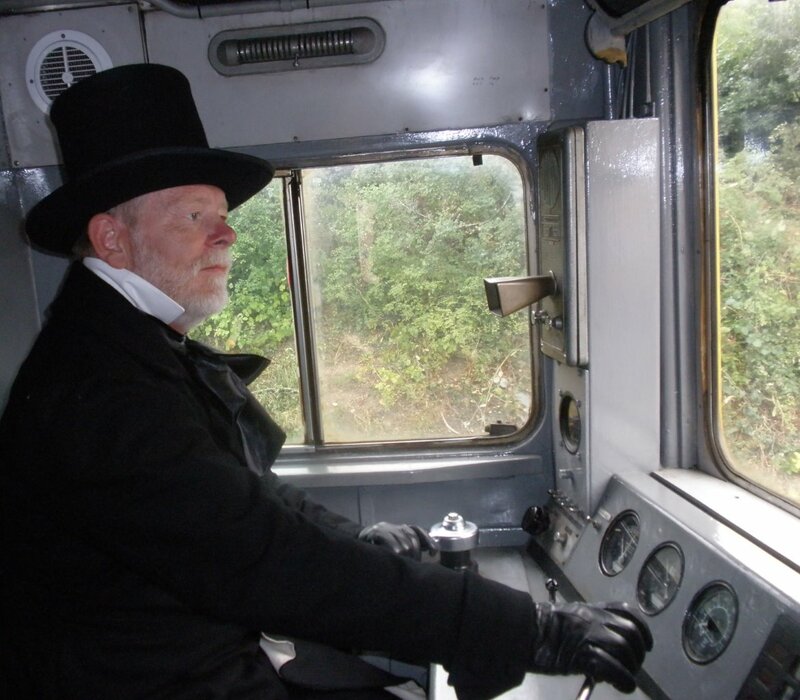 You are probably aware I was a Main line Driver and, over the years, have driven many forms of diesel and electric traction (and a steam engine too once – honestly!) The 08 loco has just been rebuilt, repainted and heavily modified for main line work, but is still very much a basic 08 loco; the paintwork finish was of a very high standard. The ‘Great Western’ 08 looked stunning in new GWR Green. The class 14 was a very different kettle of fish. The loco was designed for short freight inter-yard working, replacing the Great Western 0-6-0 saddle tank steam locos. 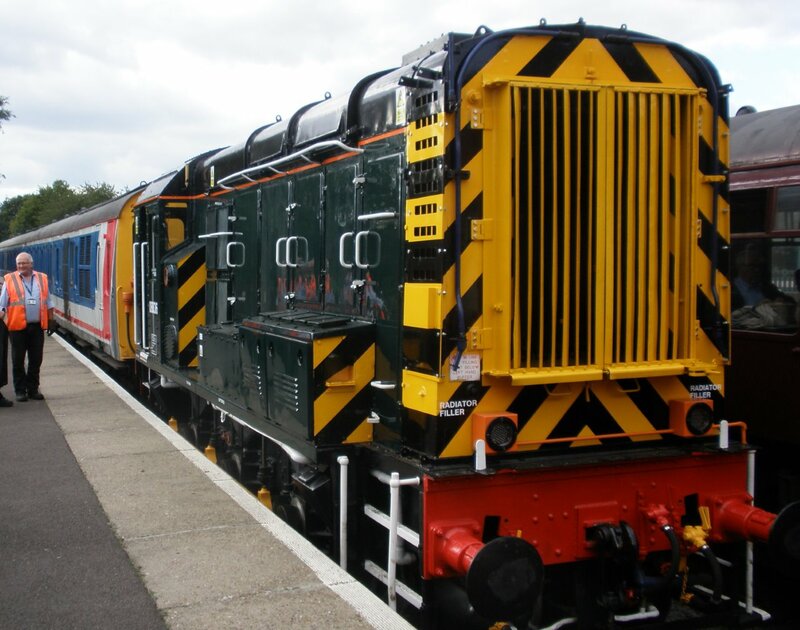 The Class 14 was one of the strangest Locos I have ever driven. For those of you that have never seen one these, the best way I could describe the Loco is that it looks like it was made out of a box of spare parts, found at the back of the stores in Swindon works. It has top half of a diesel shunt loco, with the bottom half resembling a great Western 0-6-0 tank engine, powered by a cutting-edge early version of the diesel engine that powered the high speed trains. There was a mid-position driving cab, with the main controller (which looks like it was borrowed from a class 47) set vertically, and is vacuum braked only. It has hydraulic transmission, the final drive similar to an 03 shunt loco and, when built, had a state of art V six Paxman six-hundred-and-fifty horse power, high revving diesel engine. 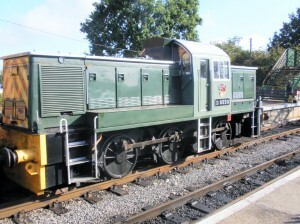 When compared to the baulk of the Thumper Diesel 600 HP engine, the class 14 Paxman unit was minute. 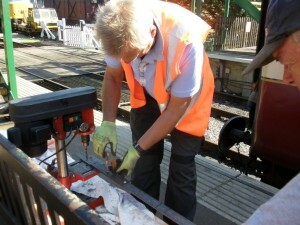 In fact, when I was helping to prepare the Loco, I had to search about to find the Diesel engine. There is no train heat, and a maximum speed of only 40 mph. This class 14 only lasted about two years on the main line before it was withdrawn, being sold on for industrial use. I was impressed with her current condition in preservation. Nothing appeared to be standard across the range of main line locos, even the fault lights differed to the standard schemes found on other locos. There were some very strange things about this beast, even down to filling up the cooling water with a bucket by climbing on top of the loco and opening a hatch – just like a steam loco! This wasn’t staged – it’s how we had to fill the coolant tank! Only ever spotted one of these machines on the main line, 1968 near Acton on the up relief, and hauling a few old wagons – even then it looked rather ‘quaint’. The Class 31 is serviceable, but is resting pending tyre turning. Yes, I do mean the DMU! At long last the project is very much moving, with a large amount of time and supporting expenditure now going into the restoration. 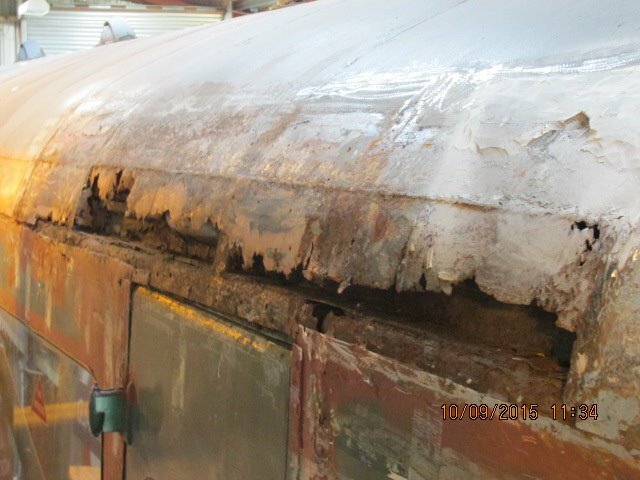 This is a big project with the C and W team doing to bulk of the work so far; they are now joined by the diesel restoration team. 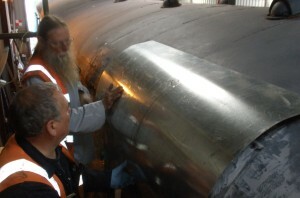 We also have help from our own engineering team and professional bodywork specialist. We now have an agreed target date for the unit to re-enter service: our spring diesel gala. It is intended that the two DMU trailers are returned to the pre-rebuilt condition internally, whilst externally they return to BR green with body lining and front whiskers. From the pictures, you can see the rot in the roof is proving to be a real challenge. 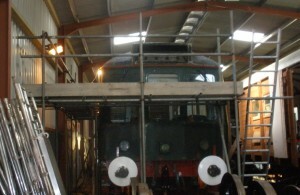 To allow the teams to safely work on the roof, the carriage is encased along one side and the front in scaffolding. New roof panels have been made up, but we are now on to plan ‘B’ for fixing them. It was Michael’s intention (Plan ‘A’) to weld in the new panels, but when we removed the internal ceilings, we saw that a lot of wood had been used in the roof structure, which could quickly catch fire. Therefore it is back to riveting and sealing the panels. The roof is being stripped back and will be repainted with specialist roof paint that resists the effects of the sun. 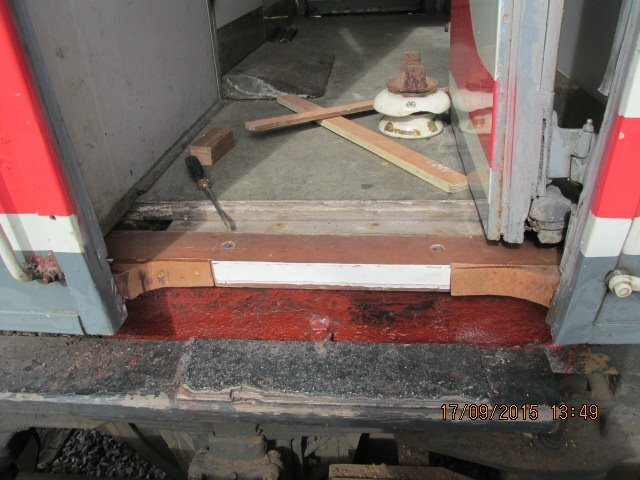 We have examined the external condition of the other motor coach and there is further evidence that since it was last checked, water leaks from some of the ventilator seals have formed. Further ceiling panels will need to be replaced in due course here also. 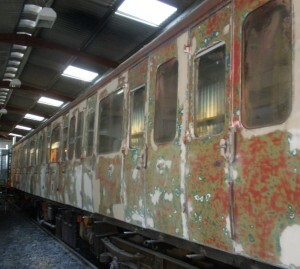 When stripped back, the extent of the deterioration can be seen clearly. Michael F and Alan offer a new roof section to test fit. With the bodywork scraped back, you can see an array of colours. No one said this job will be easy and based on what I have seen so far, to get the unit up to the Epping Ongar standard of restoration is going to be a hard slog. 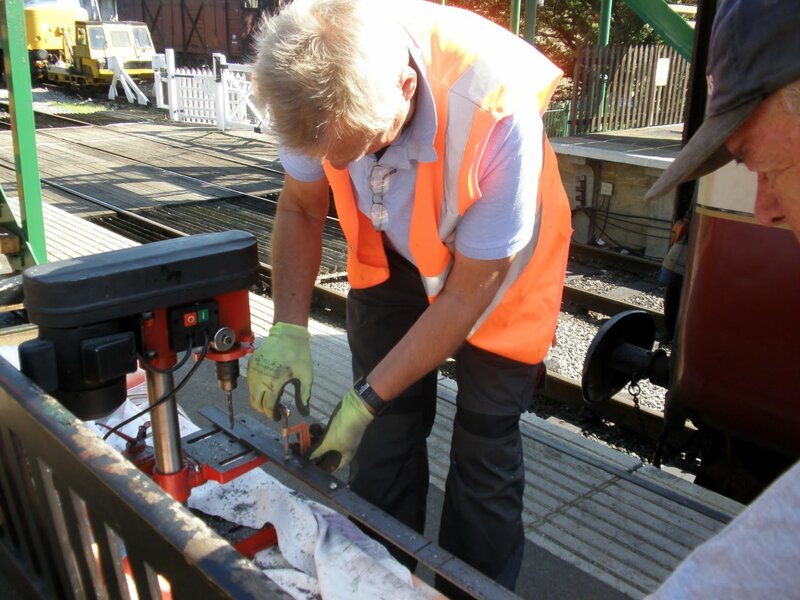 Our colleagues on the C and W team have completed the baggage compartment, where they have been sanding down the floor and finishing off with three coats of special black paint. The teams have made a fine job of the space. 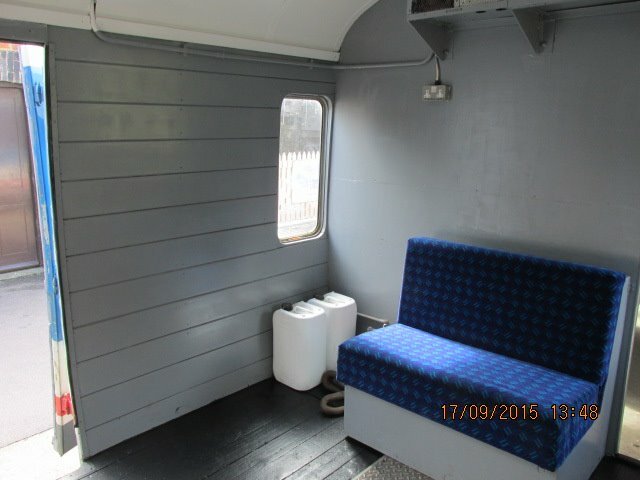 We have noted quite a few normal passengers have been using the compartment by choice. The guys have also replaced a large section of rotten floor in the Driver vestibule of the DT. As with all things, this ‘small job’ turned out to be several days work, consuming a lot of materials, there being far more rot in the floor than anticipated. I was also made an honorary member of the C and W team, spending a day with them to sort out a recurring problem with the second man’s drop light in the emergency cab door. Everything about this door is non-standard. This was a new replacement door specially made for the unit and it would appear likely that the measurements it was made to were very slightly out. The shape of the door, the widow size, the window operating mechanism and the emergency door lock are all non-standard, and any replacements have to be made to special order – normally at great expense. I spent a day stripping the door and making fine adjustments, hopefully overcoming the problems. 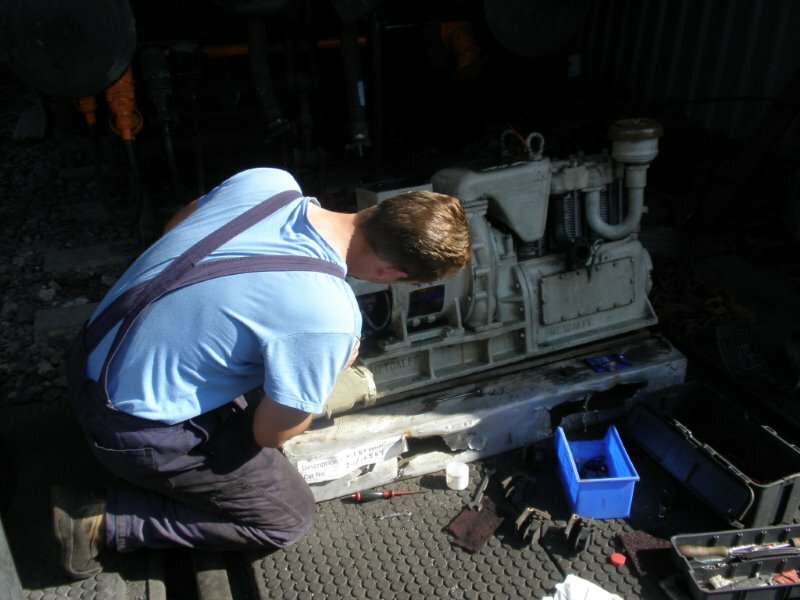 A replacement main compressor has been donated and is now at North Weald Depot. The ‘pre-owned’ compressor has been out of use for more than three years; when the electrical motor system was checked, it was found to have areas of high resistance and another minor issue. Our engineers have stripped the 110 volt DC motor, performing ‘feats of wizardries’ ‘that only electrical engineers understand. Hopefully when you read this the replacement compressor will be in place. Michael D inspects the new compressor. As Jon the Driver received the ‘right away’ halfway through the Murder Mystery night, a blue fault light came up. Investigation revealed a coolant leak on the lubricant oil heat exchanger, which is bolted on to the free end of the diesel engine. The loco was quickly shunted off the train and 03170 was substituted. The 03 top-and-tailed with the 37, saving the day and completing the job without further issue. Luckily, many of the passengers believed the shunt (which was made in the dark) was part of the Murder plot and thought it was a great show! Our Engineer, Michael Drew, traced the fault to internal corrosion damage. The heat exchanger was stripped down and a weld repair performed. After refitting the heat exchanger, the Loco has worked without further problems. Apart from the recent main line service detailed above, the 03s have continued to work faultlessly as North Weald pilot engines. Phil, one of our drivers, related a story to me regarding our resident Buzzards. Apparently, since they started nesting around the railway, they have become very ‘street wise’. When a train approaches, they now hover above the railway line, on the lookout for any small prey which the train disturbs. As with me in the last blog when a buzzard appeared carrying a small squirrel, Phil’s buzzard flew in front of his loco and was holding a snake in its talons! Apart from one trip, the stags stayed in their clearing all day. Word spread amongst the passengers and we found people were riding just to see them. While I have seen large groups of deer around the railway many times, I have never seen such a show as these Stags put on. When you come down next to visit, join us on the Safari train and look out for the vast amounts wild life the railway supports – you will be amazed.